Technical illustration for The City of Inverness. The brief was to provide a map showing every building in the central area of Inverness for use on a tourist map of the area. 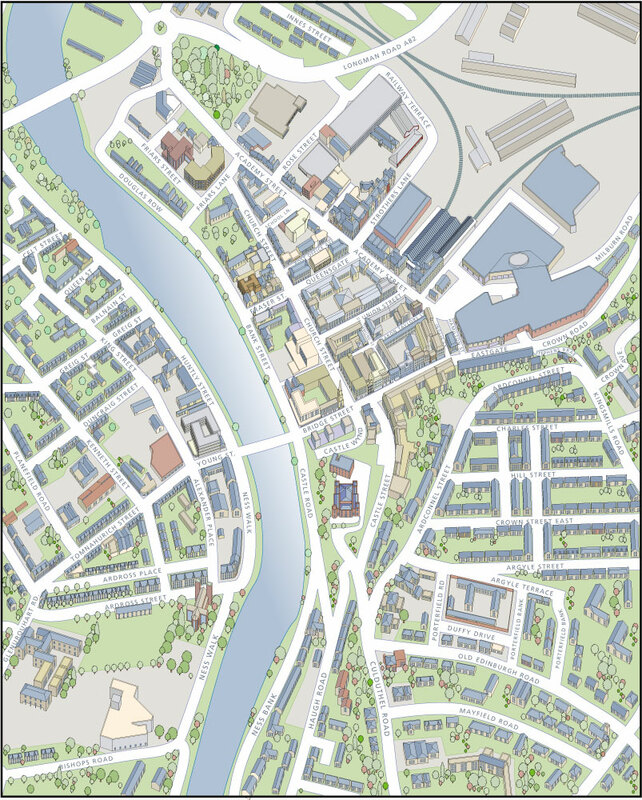 This map has led to the commissioning of many other such projects for companies such as Mobimaps, Tourist Information, Cambridge Mapmakers, Cityscape Maps and many others.